Imagine having a DVR for your customer’s web browser, so you can see exactly how they interact with your website. FullStory is your answer. 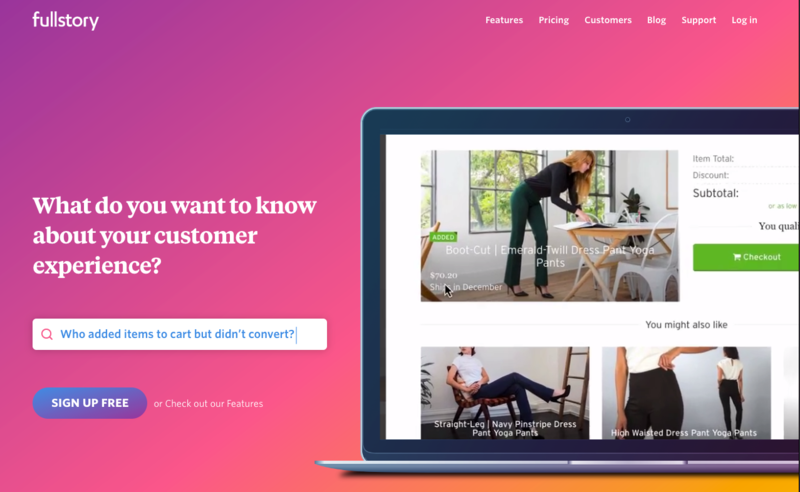 FullStory tells you everything you want to know about your customer’s online experience. Capture every click, swipe and scroll. There’s even a free plan for up to 1,000 visitors a month, so give it a try!